Michelangelo spent 4 years painting an enormous masterpiece on the ceiling of the Sistine Chapel. My kids spent slightly shorter time on their backs drawing moderately less impressive figures during this fun art lesson. It’s one thing to tell someone “Michelangelo painted on the ceiling”. It’s quite another to help that someone experience a little of what that was like. 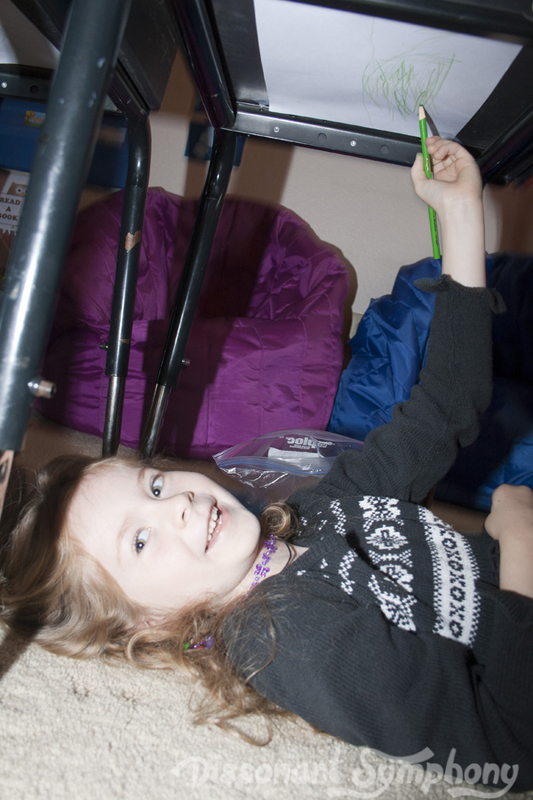 Madison loved our study of Michelangelo because he was a lefty…just like her. 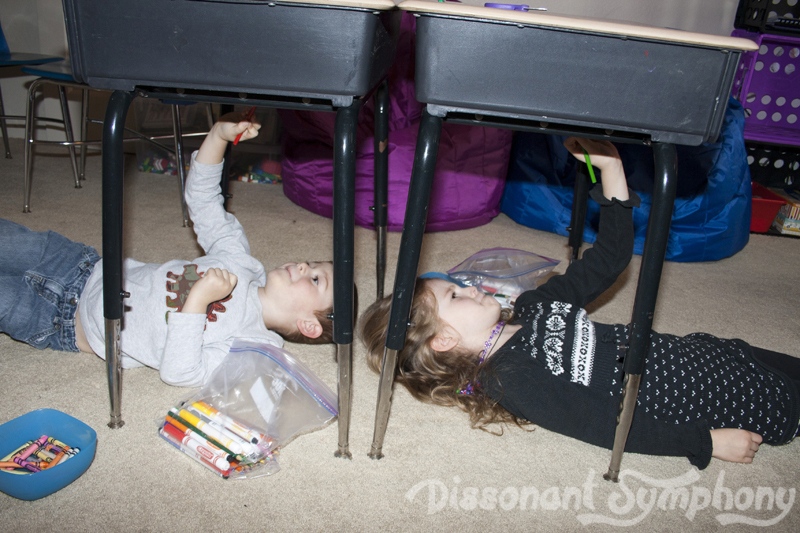 If you have a desk, or table, blank paper and some form of writing utensil, you are ready for this art lesson! 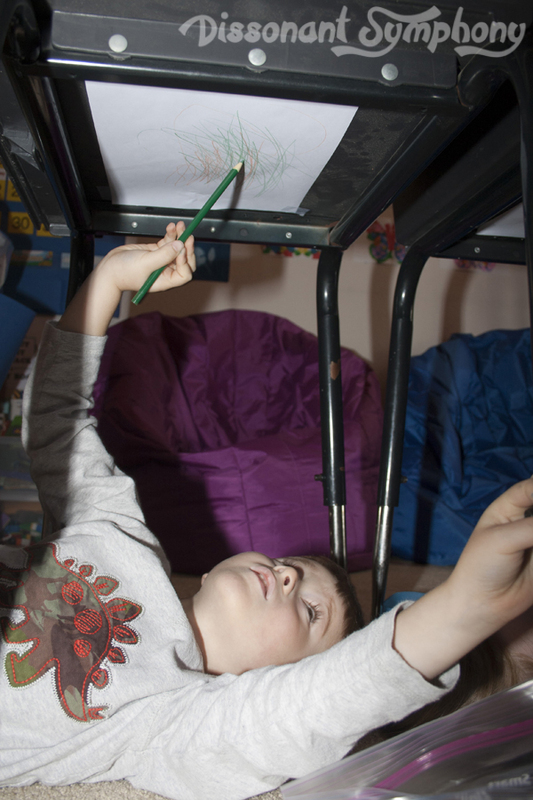 Just tape the paper to the underside of your table, slide underneath and get “painting”! We went the simple route and just used blank paper so the kids could unleash their inner artist. 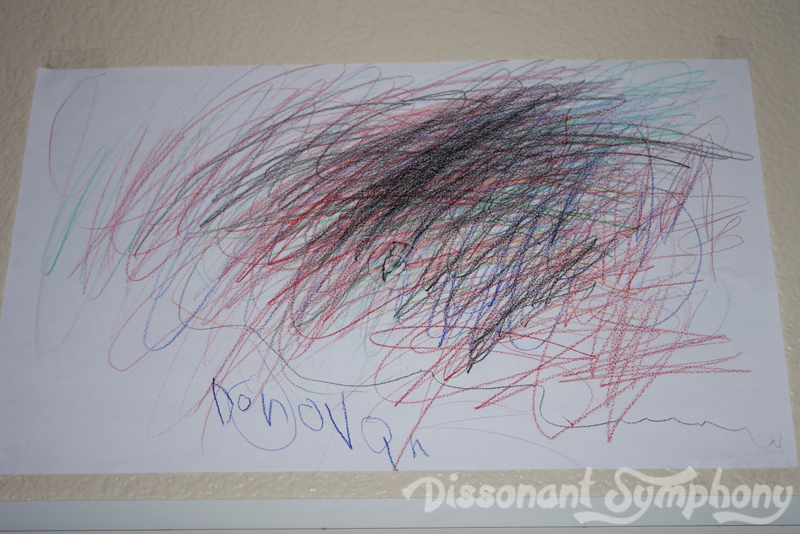 Donovan went full on abstract. 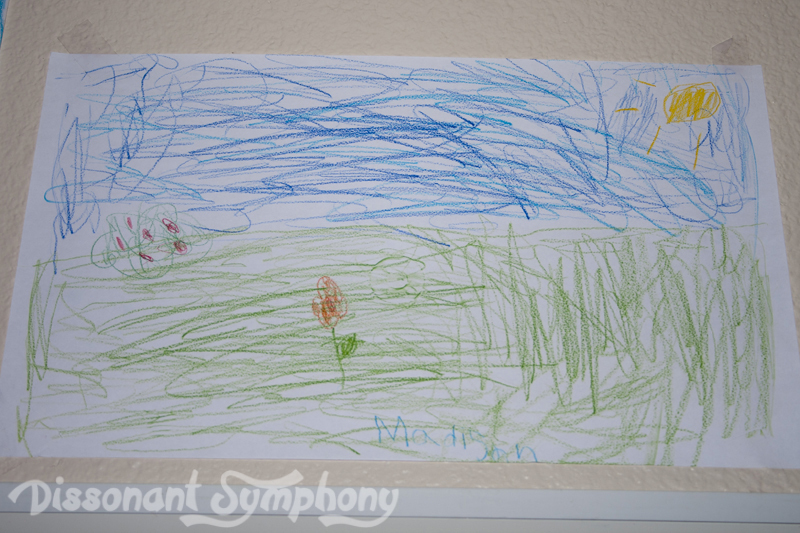 Madison was very unhappy with her work and proclaimed ceiling painting “incredibly difficult”. I’m sure Michelangelo would have agreed with her.